India is a country full of diversity in people as well as in it’s places to visit and experience which are so spectacular in views with a different vibe at each place. Weddings are a big celebration in India and are sacred, so it’s important to make them special by arranging them at venues which suits your personality and compliments you in every way. Make your big day memorable by having a destination wedding. India has some beautiful exotic places where one can plan their wedding with their family and friends. Here are some of the splendid places to plan your dream wedding ! Udaipur is the city of royals. If you seek to plan something royal and big with a majestic feel, you surely can opt for this city. This city has a lot to offer with its royal palace resorts with today’s modernity. 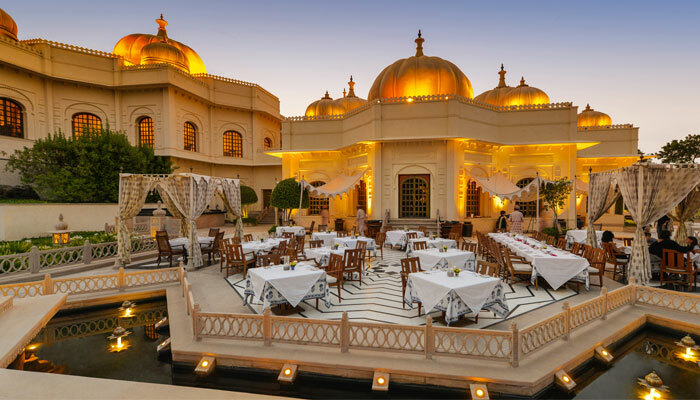 Chunda Palace, Fatehgarh palace, Taj Lake Palace are some of the royal resorts which would add a character to your wedding. You can have the royal experience with serene views around. Kerala has the most scenic beauty with some of the most exotic locations in the south of India. You would love the peaceful environment which are perfect for such sacred celebrations. Taj Malabar Resort , Trident Hotel in Cochin and many more the places you can choose for your dream wedding at such a astonishing place. 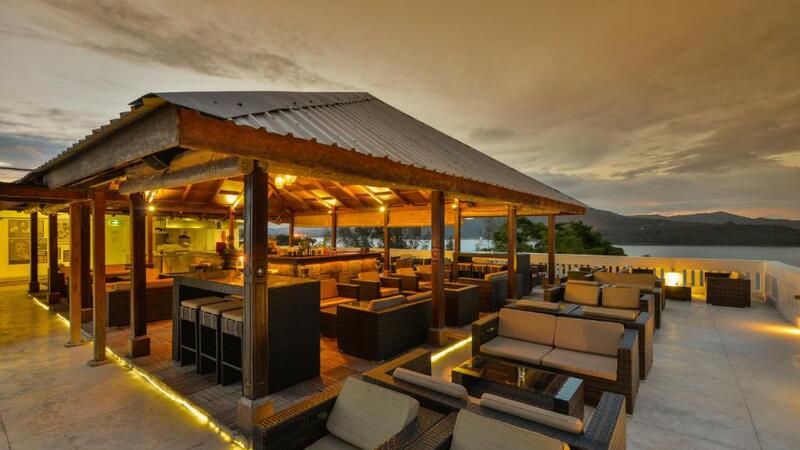 Andaman & Nicobar Islands are no less than any foreign beaches and locations. It’s usually undermined over Goa but has some of the most beautiful and clean beaches in the world. If you are a sucker for the ocean and want to plan a beach wedding then this is the perfect paradise for you. You can also plan a Cruise wedding there which would be something new, in the middle of the beautiful sea. Rajasthan is a land of tradition and history where one feels connected to their roots. 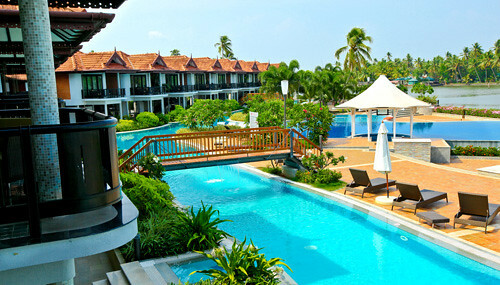 It has a feel of ethnicity which would bring a breeze of homeliness with great locations and resorts. 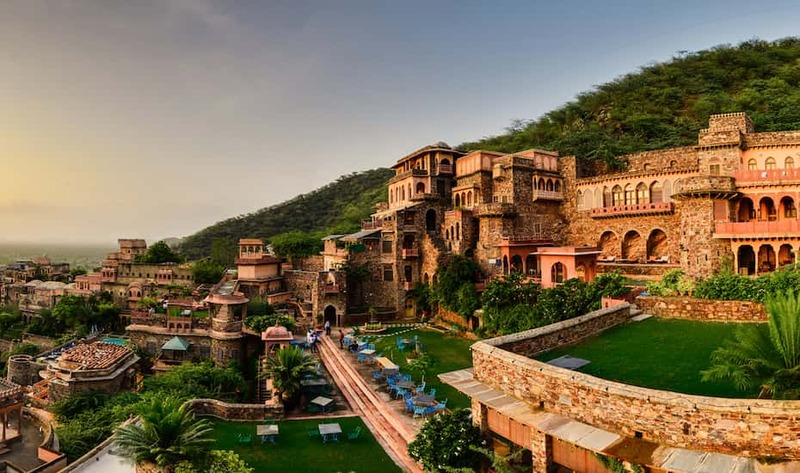 Neemrana Fort is a huge royal palace which has beautiful rooms and suites and other amenities which are so beautifully designed and have a unique character to them. If you are a big spender and enjoy lavish places, you can opt for any of these places to plan your big day. Make your wedding day special making memories at these beautiful locations in India. Hire a good wedding planner and plan you’re the day of your dreams.